Two of the most celebrated novels of the past few years are getting movie deals, greatly increasing our chances of seeing some quality entertainment on the big screen a few years from now. 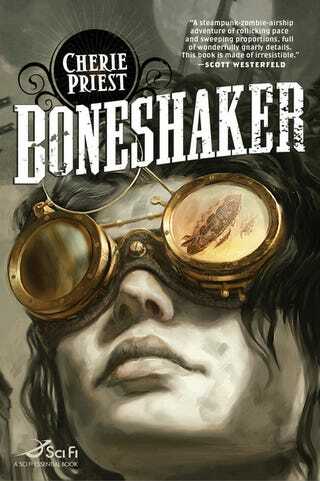 Hammer Films is making a movie of Cherie Priest's steampunk novel Boneshaker, with Cross Creek Pictures and Exclusive Media Group producing. The screenplay is being written by John Hilary Shepherd (Nurse Jackie). Like the book, the movie will take place an alternate 1880s Seattle, which has become a walled city overrun with "rotters," or zombies. I'm delighted to have secured the film and television rights for Zoo City. It is a ground-breaking, magical novel begging for a life on the big screen. Lauren's storytelling is masterful – edgy and futuristic, unique yet universal. It is high in entertainment value yet emotionally charged, a dream project for any producer.